Shelter plus survival tools and you’re good. The Live Simply® Knapping Lightweight Hoody is made from a 6-oz organic cotton(88%)/polyester(12%) knit fleece fabric that is incredibly soft. A lined, regular-fit, 2-panel hood with adjustable drawcord lends a casual aesthetic and cinches out the chill. Original artwork by Peet Kegler is screen-printed using PVC- and phthalate-free inks. 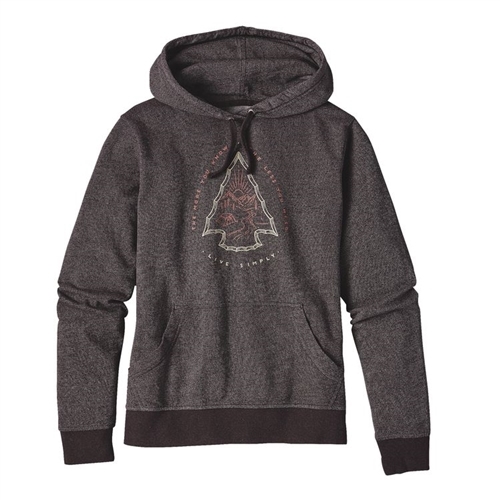 Classic, pullover hooded sweatshirt design with a kangaroo-pouch-style handwarmer pocket to stash essentials. Rib-knit cuffs and hem keep the fit cozy. Fair Trade Certified™ sewing throughout garment.